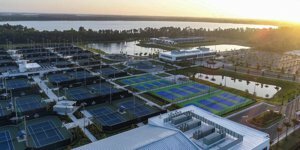 An incredible facility with just about every type of tennis court you could imagine, the National Campus of the United States Tennis Association in Lake Nona has 100 fully lit tennis courts. These courts include 84 with live streaming features, some red clay courts, some Har-Tru green clay courts, many different hard courts and even a few smart courts. The facility is open to the public with 25 programs for tennis enthusiasts of all ages. Camps for youth and adults are offered, along with individual lessons and so much more. This campus truly offers everything you could possibly need to enjoy the game of tennis. The National Campus of the USTA is known for the incredible youth programs. These programs are very successful with about 500 children enrolling every week in different programs. Prices for youth programs can start at as little as $12 per hour. Lessons for individuals, small-groups and even semi-private options are available. The facility is home to the Nemours Family Zone, which allows children, parents and grandparents to hone their skills on the tennis court. The 36-foot courts allow children to learn basic tennis skills while enjoying the fun of the sport. Programs for Adult/Child are offered on these courts to help families bond as they learn the game of tennis. 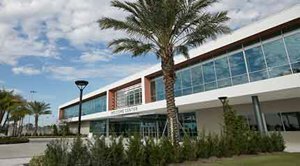 In addition to the Nemours Family Zone, the National Campus includes the Collegiate Center. This section of the facility takes up 12 courts used by the University of Central Florida men's and women's tennis teams. Not only does the USTA National Campus help to spread the game to the general public through family programs, but it's also home to the USTA Player Development program. This program caters to some of the top American professional places and many relocate to the area in order to train full-time at the facility. The National Campus just celebrated its six-month anniversary in July 2017. It's brand new, but has already hosted a number of events with over 500 USTA Pro Circuit matches and plenty more. The USTA Pro Circuit is the way to the U.S. Open and to tour-level competition. The facility expects to host many other events in the future, as well. 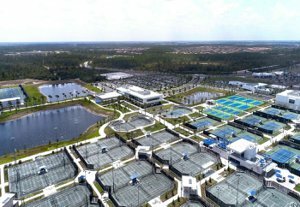 The National Campus of the USTA wasn't located in Orlando, Florida by accident. Taking advantage of the great climate, those living in the area can enjoy tennis year-round. In addition, Lake Nona is one of the most popular sections of Orlando and offers so much surrounding the facility. Even those not playing tennis year-round should visit the 64-acre facility. Come for an event and tine at the Net Post Grill. It will be a unique experience with plenty of USTA souvenirs to take home. The USTA National Camus is found about 45 minutes from Central Brevard and it's open Monday through Saturday from 7:30am to 9pm. They are also open on Sundays from 7:30pm to 6pm. Whether you want to get better at the game or just check out an event, this new facility will provide a great experience.